There are only 2 of us… Can we book a lake exclusive? Yes, you certainly can. Exclusive lakes come in all sizes but most exclusively available lakes are around 3 to 5 acres, and take 4/5 anglers with a price to match. But it’s important to note that some small exclusive lakes actually have tiered pricing available when there are fewer anglers in the booking. So an exclusive venue may not necessarily be out of price reach if there are only 2 or 3 persons fishing. 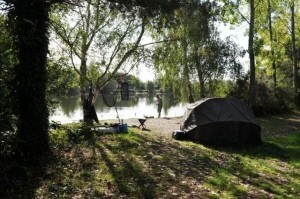 Lakes like Jonchery #7, Notaires, Lords and even Lillypool are very reasonably priced for just two or three anglers. How much of an advantage is having a lake to yourself? There are in fact pro’s and cons. Let’s start with the seemingly obvious pro’s… Exclusivity gives your group complete control to decide how it’s fished and enables an immense amount of flexibility. This is really beneficial so you can maximise your options without worrying about other anglers who are not in your group. You can for instance, trickle feed or rest swims to move onto later or at night or follow the carp around if they are on the move. It enables you to stalk around a lake without treading on other anglers toes. For these reasons too it can be more relaxing and less like a competition. The cons… Some lakes (Blue Lake and Laroussi among them) can benefit from having an even distribution of anglers all around the lake. Remember carp will often move away from pressure and if you are the only anglers on a normally busy water, you may have to work harder or move to get your results. Fishing in most French lakes is no different to fishing over here in Blighty. Except the carp are usually much bigger, the weather is generally better and you tend to catch more prolifically. You don’t suddenly need big pit reels etc to fish any of the lakes unless they are huge and you are fishing at 300 meters! However, the lakes do take fish safety very seriously and demand that you use at least a 42” landing net and a large & high standard of unhooking mat. 15lb min breaking strain line also appears to be the norm. So always check out the lake rules to make sure you’re okay and if you are any item of tackle missing, look to see if the lake have them on site or hire them. Don’t forget all the owners will happily discuss tackle with you and answer your specific questions. There are so many options available so if you want to get a quick start then follow these simple steps. Size of carp Ask yourself realistically what size would you be happy to catch? Villefond and Old Oaks are lakes with seriously BIG carp in them, but in turn they are trickier to catch. No of Runs you can reasonably expect – Some waters can be hard and a blank could happen but some are genuinely classed by us as runs waters. There are many in between. So find the right balance. The feedback will tell you very clearly how well lakes fish, it’s accurate and honest! Lakes like Vincons and Alder make it very difficult to blank. Look at your own experience and what your objectives are from the holiday. It’s no good being a novice and choosing a hard water if you really want plenty of action. If you are a relatively in experienced angler, choose a lake where there is a good bailiff who can offer advice or a water which shows very good catch rates. Travelling with friends who can give you some support is also a great idea. You invest a lot in a holiday so make sure you give yourself the best chance of a successful trip. Lakes such as Lillypool and Molyneux have well recommended and respected bailiffs who are happy to give you advice. Non Anglers If you are taking non anglers or need accommodation – ensure that the accommodation/facilities detailed on the website are an adequate standard for the fussiest of the people going. Your holiday can be ruined if you ‘over sell’ the accommodation and your non angler is unhappy all week because they were expecting 4* accommodation in a 2* mobile home! We have some absolutely cracking venues with great accommodation, such as Mas Bas, Golden Oak and Watersmeet. All of our venues show local tourist attractions and points of interests on the map – so check them out! Travelling Distance One of the most subjective decisions you can make. We advise on the mileage and drive time to each of our venues. However for me, it’s more important to get the lake right than worry about travelling an extra hour or so. You will be there all week so enjoying your lake is paramount. If that lake happens to be further away you need to look at the added costs of the fuel and tolls. Many of our lakes that are further away tend to be a little cheaper anyway to balance this out, but you do need to consider the driver. There are very cheap options though that can counter distance too. 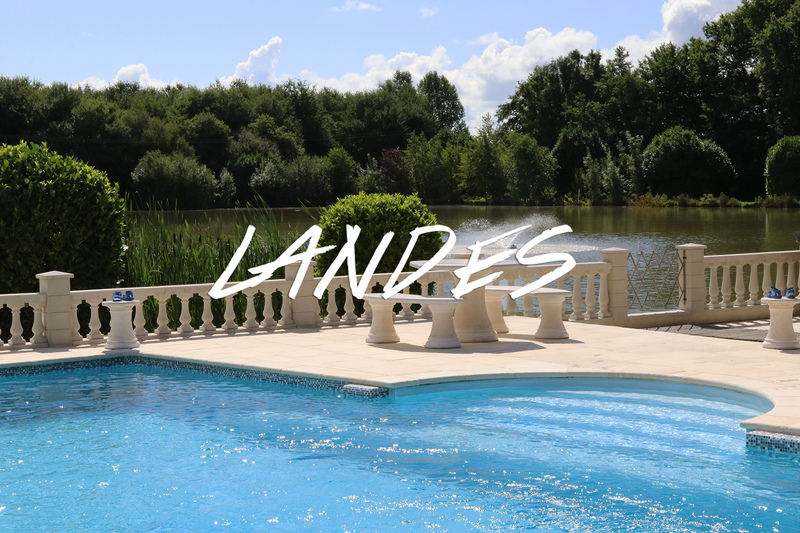 B&B’s and hotels in France are very cheap and leaving on a Friday and staying halfway over night can actually improve your holiday, and take all the stress out of the journey. (We will happily recommend places to stay depending how far your journey is … so just ask) Lakes like Molyneux and Beaurepaire are under three hours to Calais. Whilst we try to give you all the information you’ll ever need to make your decision on the website and in the multitudes of video’s available, you can always ring for advice, we visit the lakes & we know what they are like and often a quick chat will help you pinpoint your best option. We won’t sit on the fence and our advice is honest.